Greg Kane has been practising law since 1973, and recently joined Dentons’ Communications and Public Policy Law Practice Groups. His practice involves all aspects of domestic and international electronic and telecommunications sectors including regulatory, transactional and privatization mandates in telephony, satellite, wireless, Internet, broadcasting, broadcasting distribution and copyright. He has appeared before a number of federal and provincial regulatory agencies, including the Canadian Radio-television and Telecommunications Commission and te Copyright Board. Greg’s practice extends to regulatory and appellate litigation including the transportation and health care regulated sectors. He advises with respect to federal lobbying, conflicts and ethics issues. He has made appearances before government departments, including Industry Canada, Canadian Heritage, Transport Canada, the Canadian Transportation Agency, the Lobbying Commissioner and the Conflict of Interest and Ethics Commissioner. He has also appeared before the Federal Court of Canada and the Supreme Court of Canada in judicial proceedings to review department and agency decisions. He has served as legal advisor to tribunals and has acted on specific mandates for government departments. European Counsel’s Global Communications Industry Report. 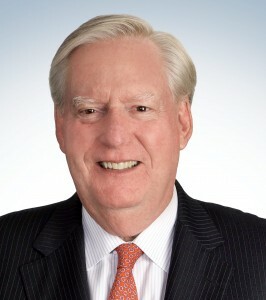 Prior to joining Dentons, founding partner at Stikeman Elliott LLP Ottawa office for 31 years; Adjunct Professor, University of Ottawa, Faculty of Common Law; counsel to the General Legal Council in Ghana, West Africa under the auspices of the Canadian University Service Overseas and the Canadian International Development Agency; General Counsel to the Consumers’ Association of Canada; Associate General Counsel (Telecommunications) to the Canadian Radio-television and Telecommunications Commission; and part-time advisor to the Law Reform Commission (Canada). President, JB Kane Limited, operated LaSalle Sports, a retail sporting goods store, in Kingston, Ontario 1985-1999. Negotiated sale to The Forzani Group Ltd.